As it relates to the outcome of a legal matter, selecting the right law firm to represent you is the single most important decision you will make in the case. It is a decision that will affect whether you recover full and fair compensation for personal injury or for the death of a loved one; in a divorce case whether you derive your fair share of the marital estate; or, in a criminal case, whether you are subjected to an unjust punishment or a penalty out of proportion to the violation of the criminal law for which you are charged. If your perception of attorneys comes from mass media advertising, you probably think all attorneys are running a business for profit by processing a high volume of cases. You might expect to be treated like a customer in a fast-food restaurant. It should not be so. The truth is, that lawyer's have a special duty to their clients which is far higher than that of a mere producer of consumer goods or services or even that duty owed by a reputable businessperson to a customer. The attorney-client relationship is subject to special privileges and responsibilities under the law because the lawyer is a fiduciary. The client's interests must come first and the lawyer is responsible to see that the best outcome is achieved for the client, even if it means subordinating the lawyer’s own interests to that of the client. At John D. Fernandez, P.A. most of our clients come to us on referral from other lawyers and more importantly from former clients who recognize our efforts in honoring their trust. An undeniable truth is that: Not all attorneys have the experience or the talent to try cases. Those who lack either won't freely admit it and are sometimes willing to gamble with the clients’ interests and chalk up mistakes to "experience." As a prospective client, you should not assume that a law degree or a state license alone confers competence. Common sense tells you that not all lawyers are the same. Take the time to investigate a lawyer’s reputation before you commit to him. Changing lawyers in the middle of a case can be difficult, but not impossible. Call us if you feel like you were misled in anyway by a lawyer you have hired and now have reason to question his competence. John D. Fernandez, P.A. is AV® Preeminent™ Peer Review Rated by Martindale-Hubbell®, the highest rating given for legal ability and integrity. Our firm is fully staffed with skilled paralegal assistants. 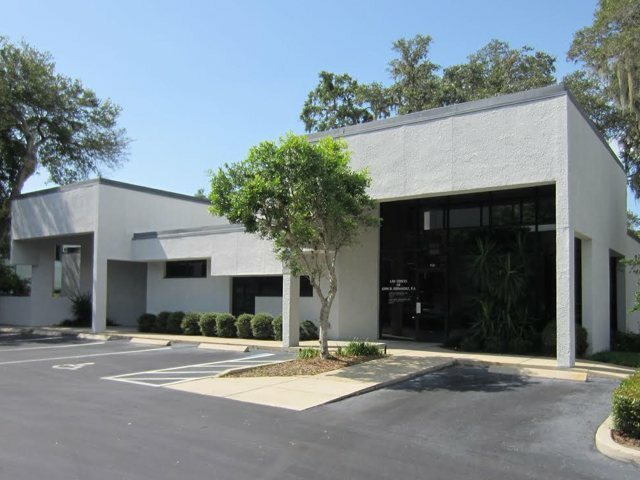 Since its inception in 1976 we have practiced in courts throughout the State of Florida; our physical plant has been at the same location since 1982. We believe that the practice of law is an honorable profession, but only so long as the clients’ interests come first. Thank you for visiting our web site and for taking the time to read about us. If you’ve gotten this far, you are the type of client we seek, intelligent and informed. This statement should tell you a good bit about us and the way we conduct our practice. If you require more information about John D. Fernandez, P.A., or wish to schedule an appointment, call us at 727.461.4441 or click here to contact us now. Our initial consultation is free. In the case of injury or death cases, attorney fees are contingent on recovery, which means: We are paid out of the recovery. If there is no recovery or we decline your case after investigation, you owe nothing. John D. Fernandez, P.A. is the opposite of a high-volume law practice or tort mill. The lawyer you meet in your initial consultation will try your case; we never outsource or refer cases we’ve accepted to other law firms. We limit the number of cases we manage at any given time, so that we can give our clients the personal attention they deserve. To schedule a consultation with John D. Fernandez, P.A., call us at 727.461.4441 or click here to contact us now.